"Everything, They Even Cleaned Up... Very Professional"
"Arrived Promptly, Polite And Friendly, Completed The Job Efficiently And Ensured I Paid The Lowest Cost Necessary"
"Quick Response And Job Done Well At A Reasonable Price. Very Happy With The Job." 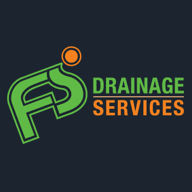 "Every Thing Was Smooth And Pleasant"
"Whole Service Very Efficient From Beginning To End"
Need a Drainage Engineer or Plumber in London?